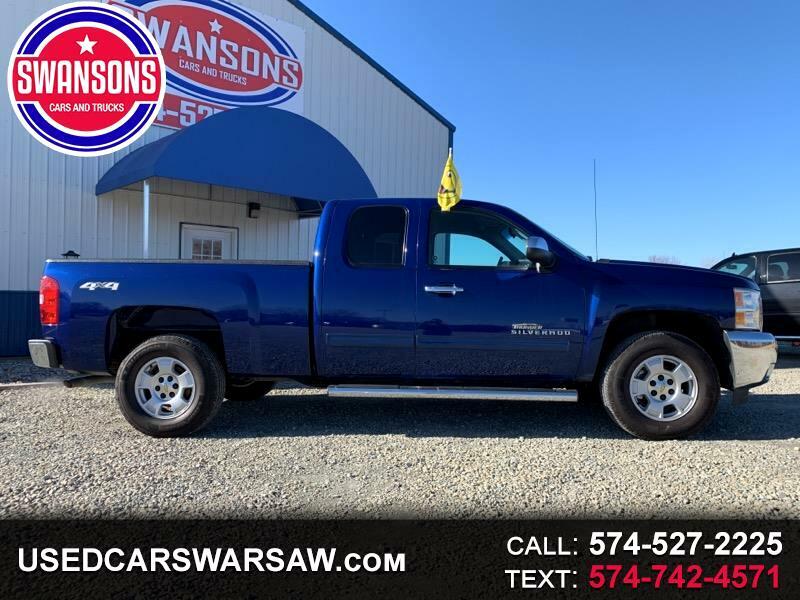 Metallic Blue 2013 Chevrolet Silverado 1500 LT! Extended Cab, 4x4, 5.3L V8 Engine, All Power Options, Immaculate Interior, Added Chrome Step Bars, Spray In Bed Liner & MORE! Get a WHIFF of that #NewCar Smell--#SaveWithSwansons TODAY! VISIT US ONLINE AT WWW.USEDCARSWARSAW.COM OR CALL US TODAY AT 574-527-2225 TO SCHEDULE YOUR TEST DRIVE!